If you’re struggling with knee issues on a regular basis, an arthroscopic knee surgery can help restore your range of motion and minimize pain. At New York Bone & Joint Specialists, you can meet with Leon E. Popovitz, MD, one of the best arthroscopic knee surgeons in NYC. Dr. Popovitz and his team of expert knee surgeons care for patients at the practice’s Upper East Side, Midtown West. Request your knee evaluation online, or call your nearest office. Why do I need arthroscopic knee surgery? If you’re in need of a partial or complete knee replacement, the procedure can often be performed arthroscopically, increasing the chances for a speedier recovery time. What happens during arthroscopic knee surgery? Arthroscopic knee surgery is usually performed under general anesthesia. Dr. Popovitz will start by making at least two to three small incisions in your knee. He inserts the thin arthroscope into one incision, then uses the other incisions to guide slim surgical tools to the targeted structures. The arthroscope sends live images to the monitor so Dr. Popovitz can see exactly what’s going on inside your knee. Using the specialized surgical instruments, he’s able to remove damaged tissues, perform tissue grafts, and repair torn or ruptured connective tissues. How long is the downtime after arthroscopic knee surgery? Your entire arthroscopic knee surgery with Dr. Popovitz and the team of expert arthroscopic knee surgeons at New York Bone & Joint Specialists is usually performed on an outpatient basis, so you can go home the same day. To reduce your risk of clotting and to stimulate blood flow, Dr. Popovitz shows you certain exercises to perform within a few days of your surgery. You’re probably going to need to walk with assistive devices, such as crutches or a cane, for several weeks following your arthroscopic knee surgery. It’s important to follow your physical therapy regimen during this time to help you rebuild strength. Depending on your specific procedure, you can enjoy a full recovery in as little as eight to twelve weeks. 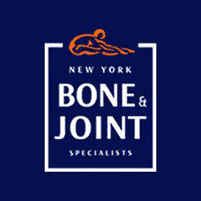 Schedule your evaluation with the best arthroscopic knee surgeons in NYC at New York Bone & Joint Specialists today. Book online or over the phone.